Team Sweden came one game short of winning the gold medal at last year’s World Junior Championship. While there are only four players returning from last year’s team, Sweden is looking for revenge and to leave British Columbia with the ultimate prize in 2019. Sweden’s 2018 WJC roster had a ton of hype and attention for good reason. The team had seven NHL first round draft picks on it, including 2018’s first overall pick Rasmus Dahlin. Other names missing from this year’s roster include Elias Pettersson, Alexander Nylander and Lias Andersson. We all remember Andersson throwing his silver medal into the stands after their heartbreaking loss to Canada in the gold medal game. Sweden is hoping this year’s squad can pick up one more win and bring home gold. Getting to the elimination round is almost a given with Sweden’s round-robin success over the past decade-plus. They have won 44 straight games in group play which means they have not lost a preliminary game since 2007. This year’s team is not nearly as strong as years past so it will be interesting to see if they can keep this streak alive with games against Finland and the United States. Goaltending has been a strength for Sweden in the past, but it might be their biggest weakness this year. They have three quality netminders on the roster, but they do not have a clear-cut number one heading into group play. Relying on the round robin action to have a starter emerge can be a risky strategy. Olle Eriksson Ek was on last year’s roster but did not make an appearance during the tournament. The Anaheim Ducks prospect will get a chance to became the top goalie, but he will have to sit out for the first two games against Finland and Slovakia due to a suspension for his actions during last year’s medal ceremony. Samuel Ersson, a 2018 draft pick of the Philadelphia Flyers, will also be looking to become Sweden’s number one goaltender. He is boasting a 1.81 goals-against average (GAA) and .941 save percentage (SV%) for Västerås IK of the HockeyAllsvenskan, the second-highest hockey league in Sweden. Adam Ahman is the third goaltender on the final roster. The undrafted 19-year-old has a 1.75 GAA and .933 SV% for IK Oskarshamn of the HockeyAllsvenskan. 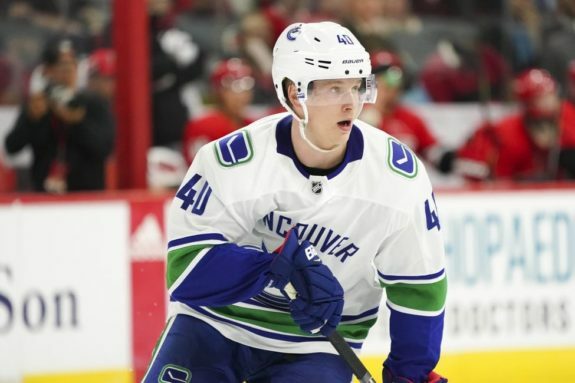 In a normal tournament, it would be unlikely that he would see action, but with Eriksson Ek’s suspension, Ahman will at least dress for the first two games. While there will be questions facing Sweden’s goaltending, their defense corps will be their biggest strength heading into the tournament. Team captain Erik Brannstrom is the lone returnee on the blue line. 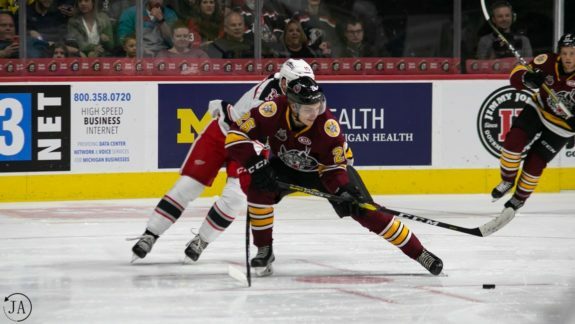 Timothy Liljegren, a Toronto Maple Leafs prospect, was expected to return as well, but he suffered a high-ankle sprain playing in the AHL and will miss this year’s tournament. Philip Boberg, the only member of the blue line who has not been drafted by an NHL team, will take his place. He is projected to be a first round pick at this summer’s Entry Draft. Sweden will have no shortage of mobile defenders who force turnovers and lead the counter-attack. Another Maple Leafs prospect, Ramus Sandin, will be a part of a talented group. Additionally, Chicago Blackhawks fans will get a chance to watch last summer’s eighth overall pick Adam Boqvist play on a big stage. The year’s group of forwards lacks a bit of the scoring punch we have seen in past tournaments. If the defense can be as good as advertised, then pressure will be taken off the guys upfront, although the group does have a lot of professional experience, either in Sweden or in the AHL. Isac Lundestrom and Fabian Zetterlund are the lone forwards who won silver a year ago. Lundestrom had two goals in last year’s tournament and will be looked upon to be a leader. He has played in more NHL games for the Ducks this season than he has for their AHL affiliate, the San Diego Gulls. Nils Hoglander had a strong camp and could be a factor for Sweden. He has adjusted well to life in the pros with four goals and seven points in his first 25 SHL games with Rogle BK. He is a smaller player, but he is hard to get off the puck and is not afraid to play between the dots. Samuel Fagemo is another forward who can make an impact at the WJC. Scouts rave about his goal-scoring ability and he has five goals and 10 points in 21 SHL games with Frolunda HC. Emil Bemstrom, a fourth round pick of the Columbus Blue Jackets, has had a lot of success in his first SHL season. He currently leads Djurgardens IF with 12 goals and is looking to carry over that success to the WJC. While the motivation is there for a return to the gold medal game, Sweden’s road will be tougher than in years past. It would be a major upset if they do not return to the elimination round, but they will need a lot of things to go right in order to be playing late into the tournament.